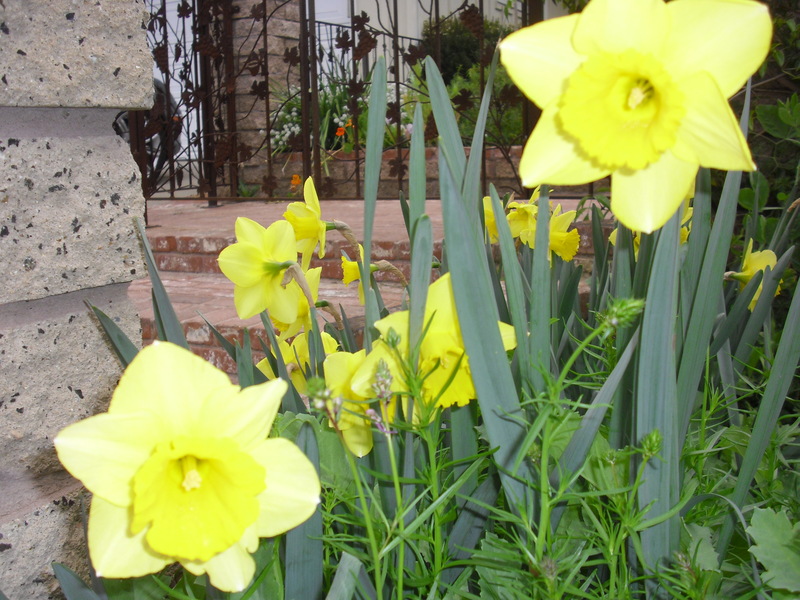 People are asking me, “What are all those yellow flowers?” They are daffodils (officially Latin name Narcissus). I planted about three dozen of them last fall. 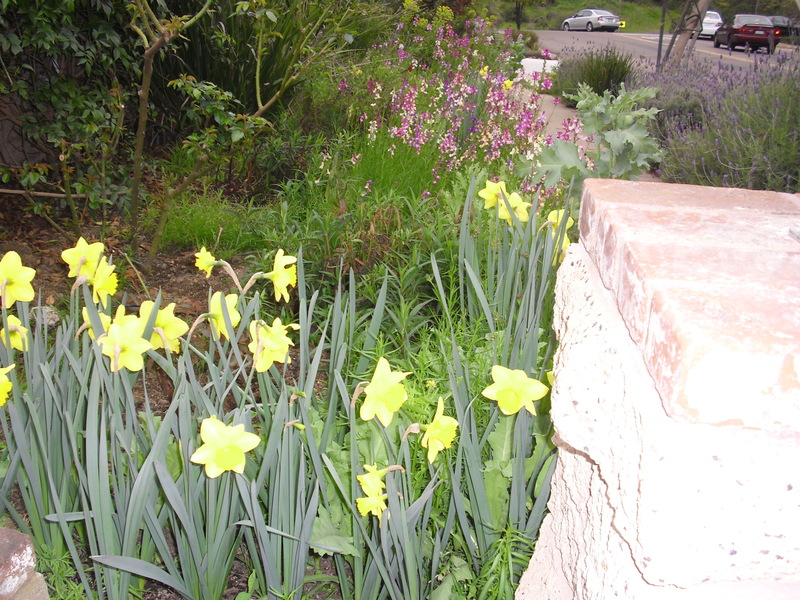 My goal was to have a sea of daffodils in the empty dirt near my light post. Well, I do. 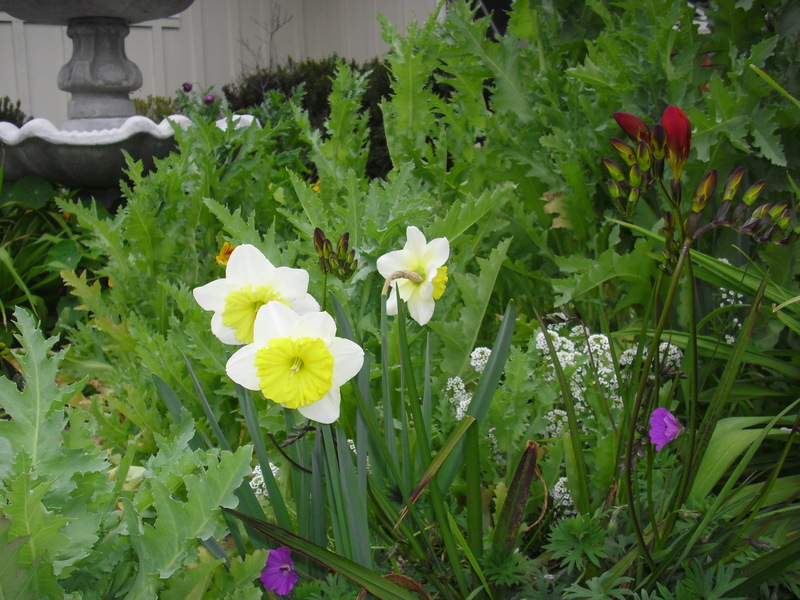 I have some fancy white daffodils too. I’m not sure how, but I am growing them around the yard. They are quite striking. Daffodils remind me of Wordsworth and his sister and I could look up the poem or you could: http://www.blupete.com/Literature/Poetry/WordsworthDaffodils.htm. I forgot how much I liked that poem. I went to the Lake District in England to see Wordsworth’s flowers, but it was November. The daffodils were buried under the ground waiting for spring, cold beneath the empty trees. But if you want scientific details on daffodils, go here: http://www.daffodilusa.org/index.html. Or look at my pictures and make things up. 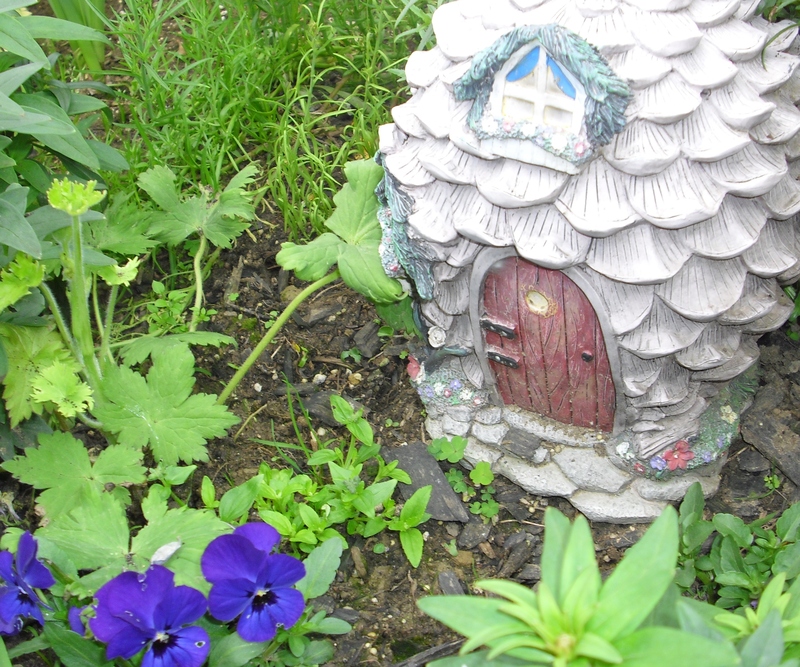 I added a fun one of my fairy house and my stuffed animal tree. Reminds me of the bottle trees I saw when I lived in Alabama, but since we are in Southern California, my bottle tree is made from expensive Build A Bear animals that my dog likes to chew. 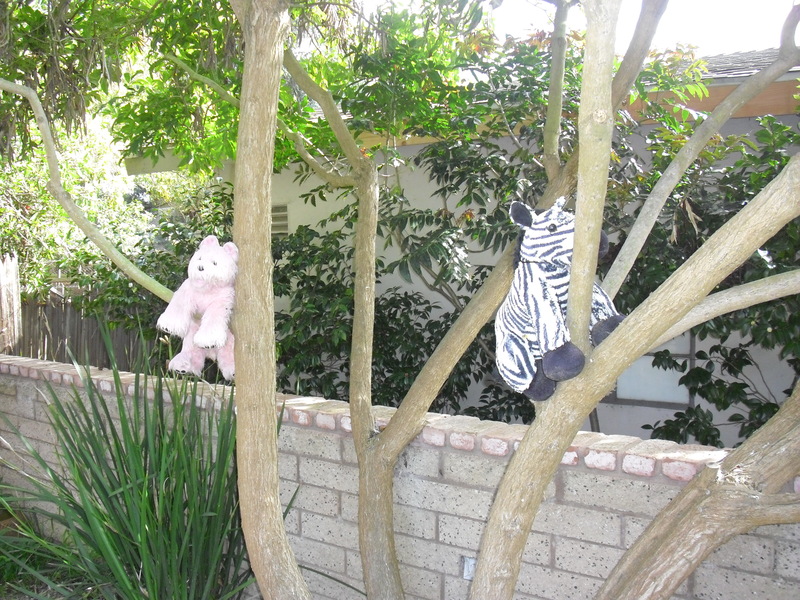 For some reason, he only chews up the Build A Bears, and since they are too expensive to throw out, I started hanging them in my tree. You might say I should wash them, but he always finds them, slobbers them up and kills plants while trying to bury them, and no one but me is allowed to kill plants in my yard! It is March. Alleluia. I hate January and February. Thank goodness they are over and spring is almost here. 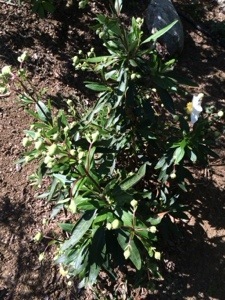 It has been hot here and the garden is already blooming. In the slideshow are some of the first flowers of 2012. We went to this incredible garden at the Parker Hotel in Palm Springs. I loved how lush it was. Very different from my garden but lots of good ideas to take home.